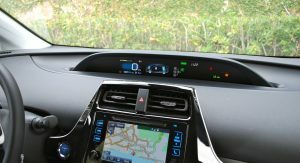 Over the last few months, I’ve found out just how many people I’ve recommended VW TDIs to – yes, the holidays were interesting; a good rebuttal might have been bringing up the 2016 Toyota Prius. 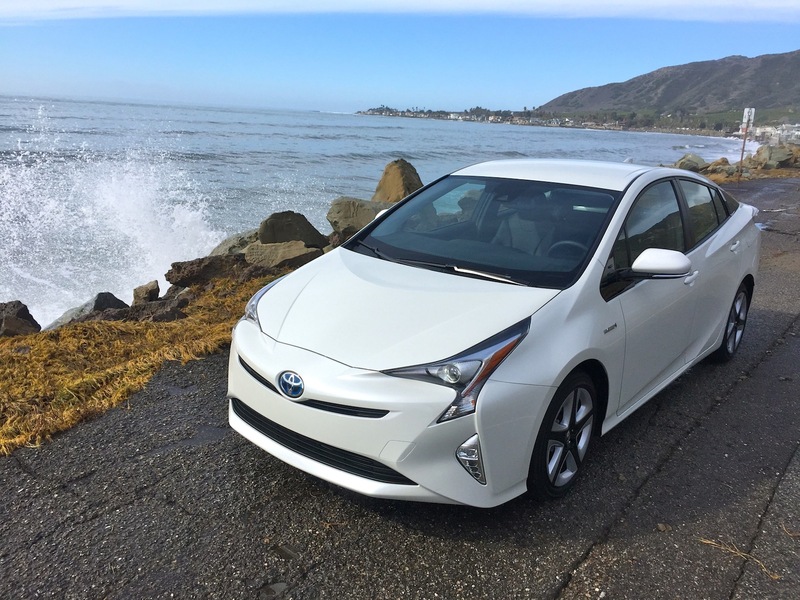 Especially in California, where air quality standards are a way of life, the Prius has been the closest possible thing to guilt-free car ownership for a number of people. 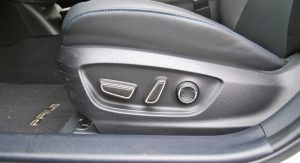 What attracted people to the diesels, however, was that it meant not having to put up with the artificial-feeling controls and the always different looks of the thing. 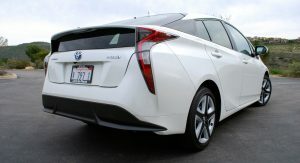 Were it not for sinking fuel prices, the fourth-generation Prius would be in the prime position to take advantage of vulnerable VW owners feeling their green credentials were fraudulent. 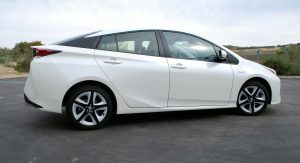 But still, Toyota seems poised to keep existing customers happy while luring in some converts to hybrid propulsion. 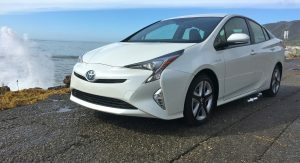 One could argue that the Prius took the, “Buy organic, donate to public radio,” crowd for granted with the last Prius, a car that was developed at a time when Toyota was clearly maximizing profits more than maintaining expected levels of quality and innovation. 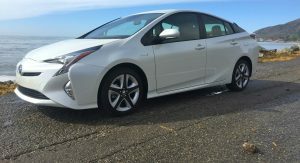 With the company’s leader insistent on making cars that are more stimulating, is this the Prius that finally behaves like a car? 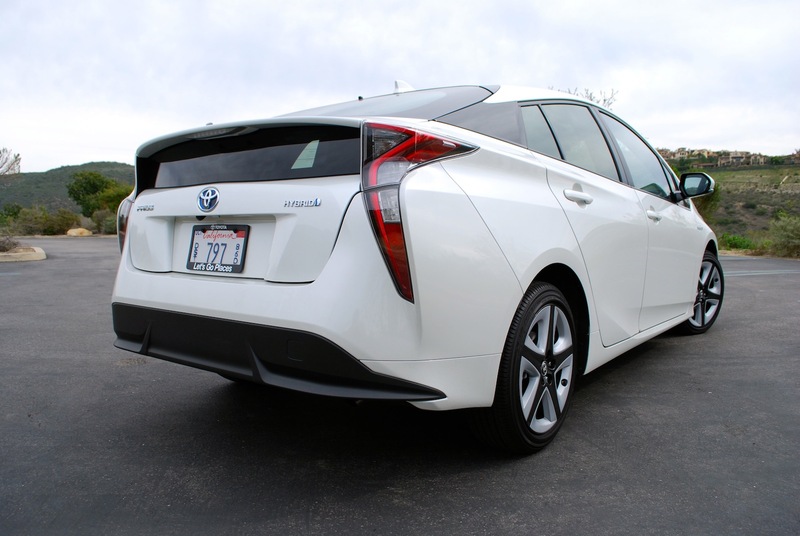 Perhaps it’s because other electric cars started to resemble the shape of the old Prius (that’s you, Chevy Volt and Hyundai Ioniq), but Toyota seems to have spent a lot of energy making the fourth iteration of the Prius look… distinctive. 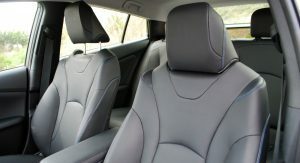 The design of the new car goes just about every way, bulges where you thought a crease would extend, lines that dart in different directions. 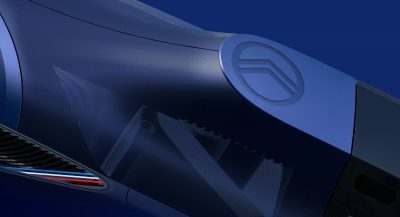 Certain colors also work better than others, with the red that it was launched in diminishing the details of the car. 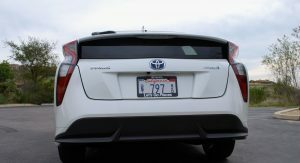 This Prius Four Touring (yes, that’s what the model I had was called) gets helped out with 17-inch wheels with black inserts that, on this Blizzard Pearl car, seemed well-timed with a certain movie about stars and wars that came out not too long ago. In five days, I warmed up to it. 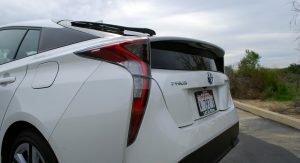 The back looks particularly heavy and fish-like, but the front is sharp in a good way. 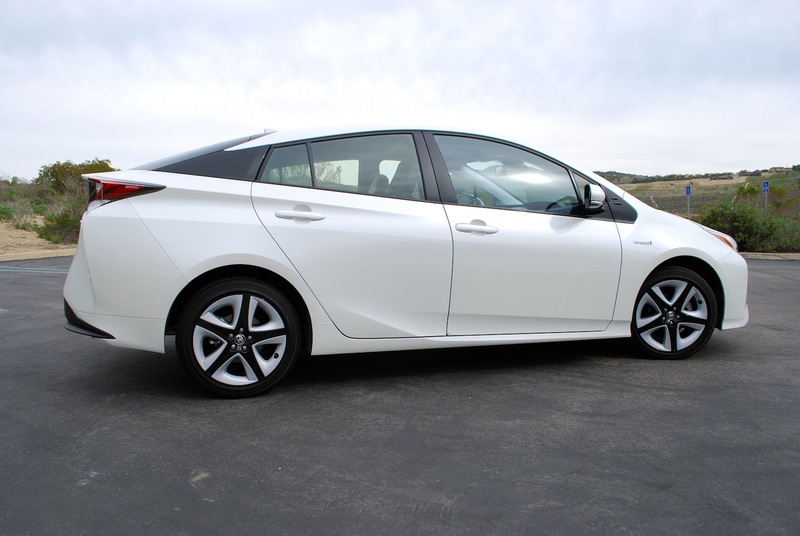 Its slab-sidedness makes the wheels look small, however. More controversial were the lights. 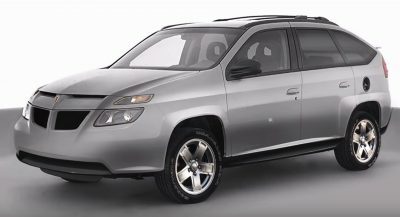 With the optional LED headlights and the fog lights on, there’s a lot of bright that’s more fitting with an Escalade than a Prius. The back LED accents follow the sharp shoulders of the rear and light up in a way that’s either reminiscent of the neon lights of the Vegas strip – or a seedy Reno bar. Take your pick, but at least it stands out. 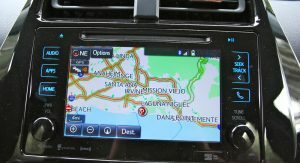 That didn’t happen when I drove the new Camry around. 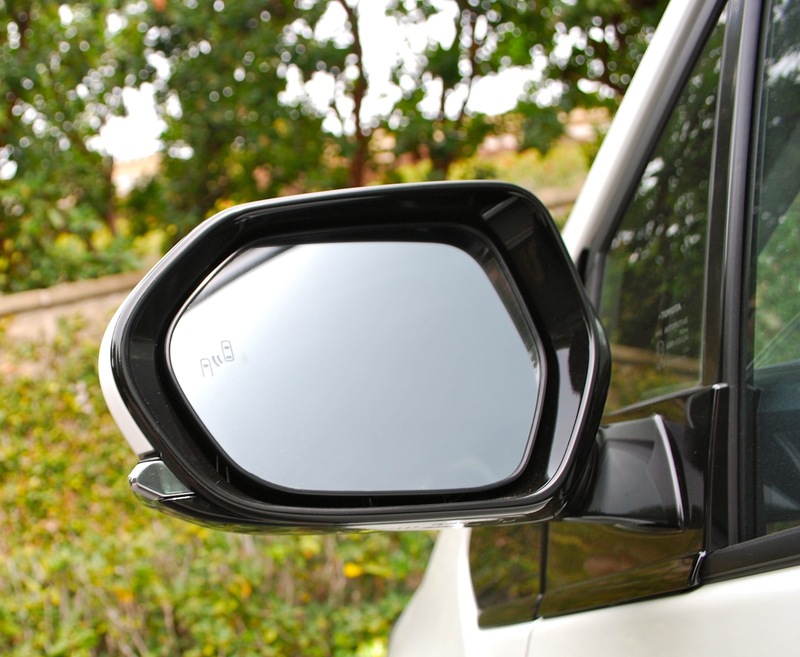 Perhaps the biggest gains aren’t related to fuel economy, but in perceived quality. 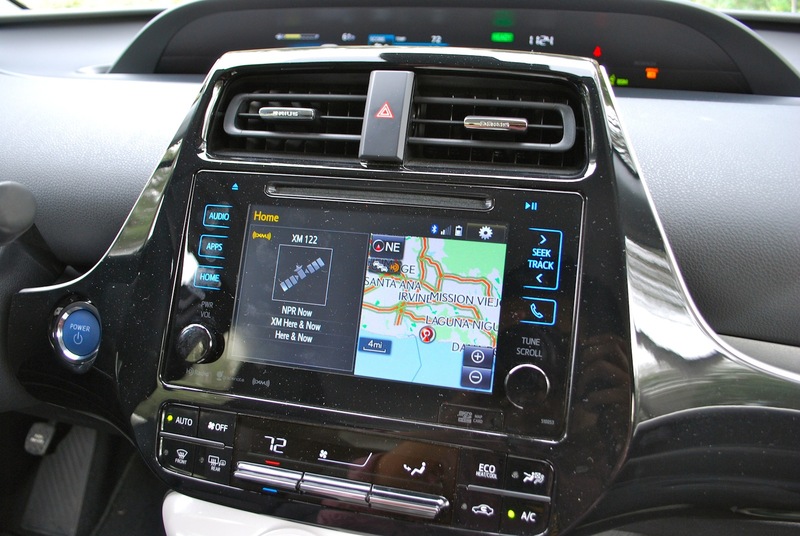 The Prius’ interior has never been anything to brag about, but Toyota apparently has finally realized it. 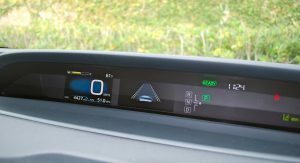 Every Prius has had a centrally mounted digital instrument cluster sitting at the base of the windshield, and therefore a large sea of gray or black plastic to look at through the steering wheel and everywhere in front of you. 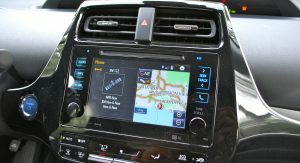 Soft-touch surfaces were scarce in even last year’s car, nowhere near in keeping with a $25,000 car in 2015 – let alone even one costing $15,000. That’s mostly changed here. 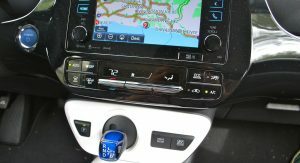 Gone are the seams and flimsy console lids, replaced by materials more fitting of a competitive compact car from 2016. 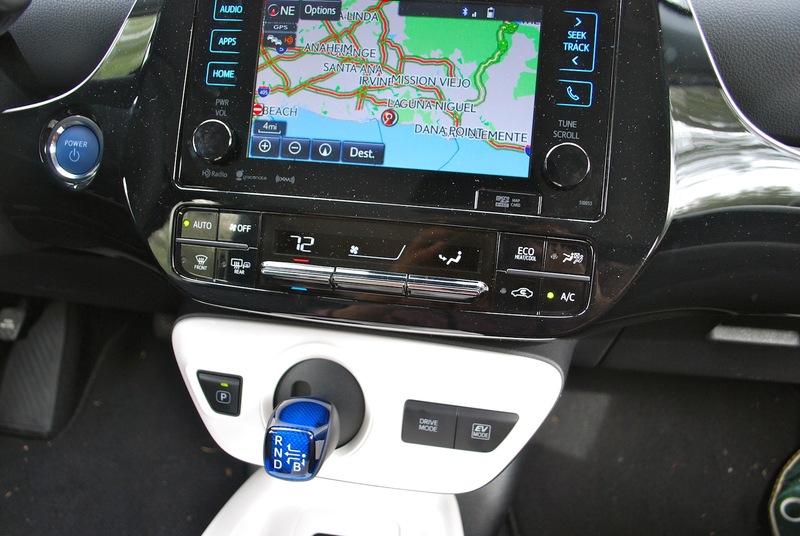 Like Honda did with the 2016 Civic, Toyota went so far as to change the look and feel of nearly every button and switch in the 2016 Prius. 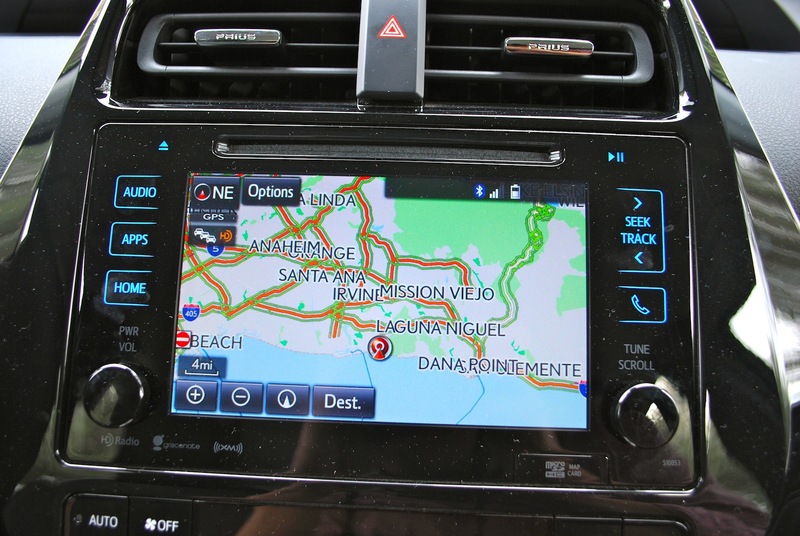 Gone are mirror controls and secondary switches that look like they were created for the 1993 Corolla. 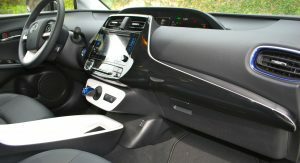 And it elevates the whole feel of the new Prius’ interior. 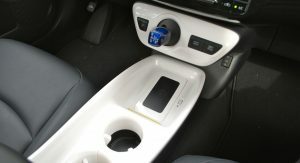 I’m not sure what they were modeling the center console after, though. 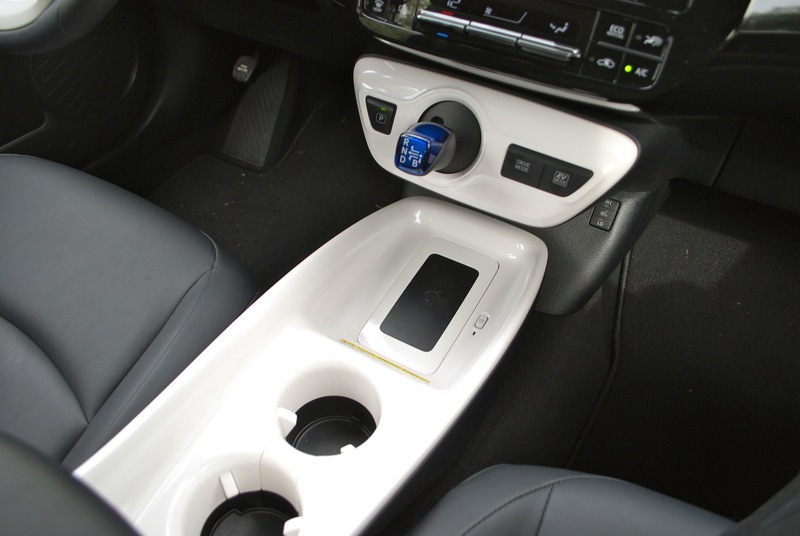 The sparkling white plastic surrounding the cupholders and cubby for the Qi Wireless Charger is hard plastic that sticks out like a sore Storm Trooper. 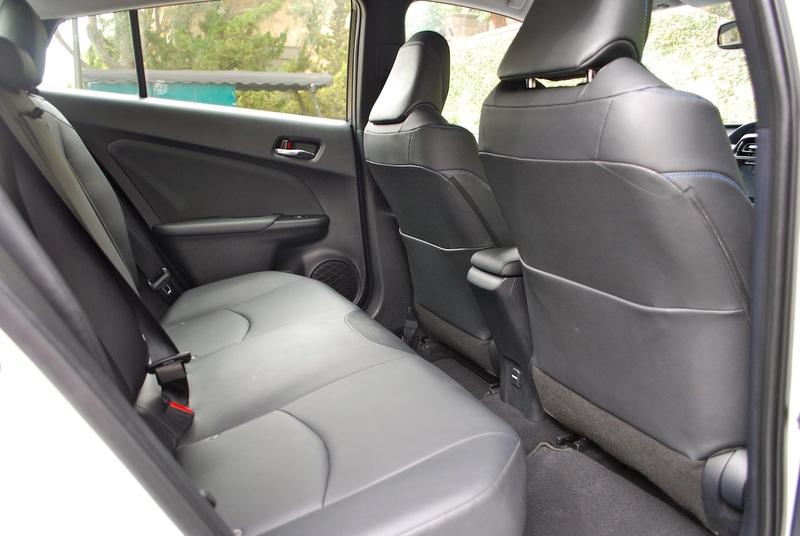 At least storage inside is pretty good, with generous room under the thinly padded armrest. 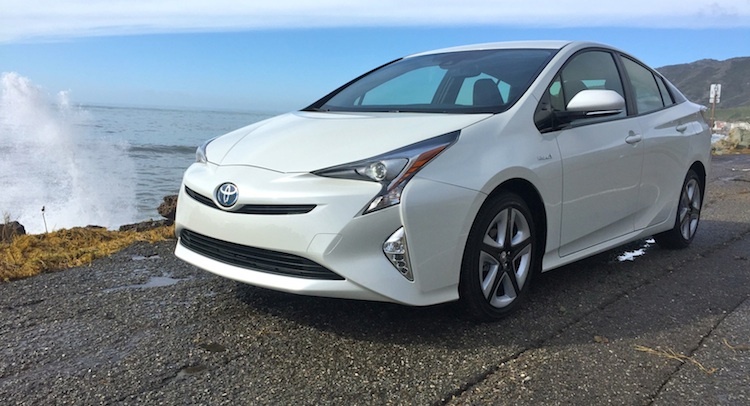 Toyota tried to work on driver comfort in the Prius. 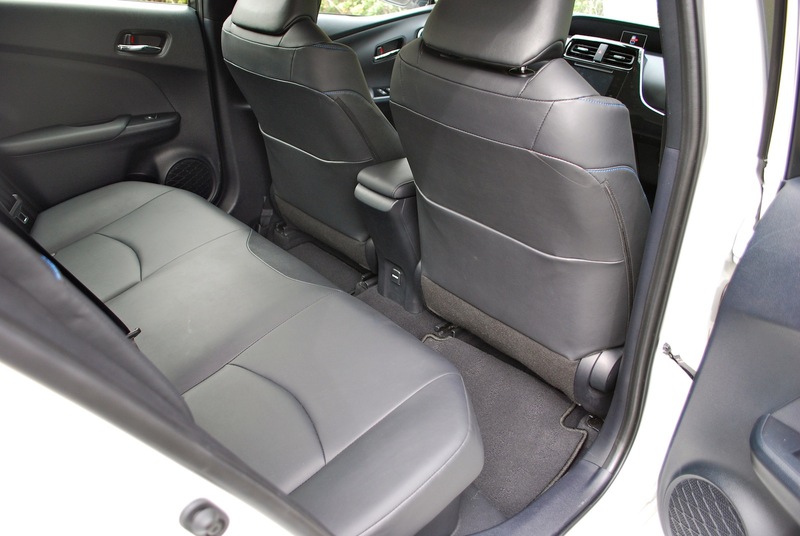 Some may feel they sit low in the new car, but it’s augmented by an equally low belt line and lots of glass area. 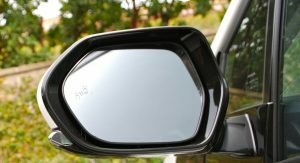 As before, the only real visibility problem is the split rear window – you can lose an entire row of headlights between the rear windows. 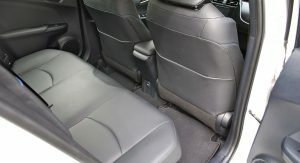 Seats were another problem on the old Prius and the driver is helped by a newly optional power seat. 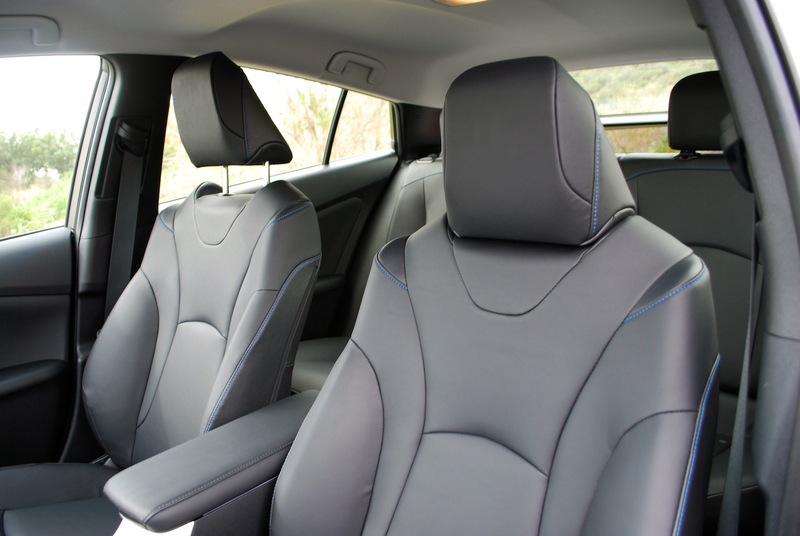 They’re a touch slippery with the leatherette that comes on Touring models, but in general a notable improvement over the old car. 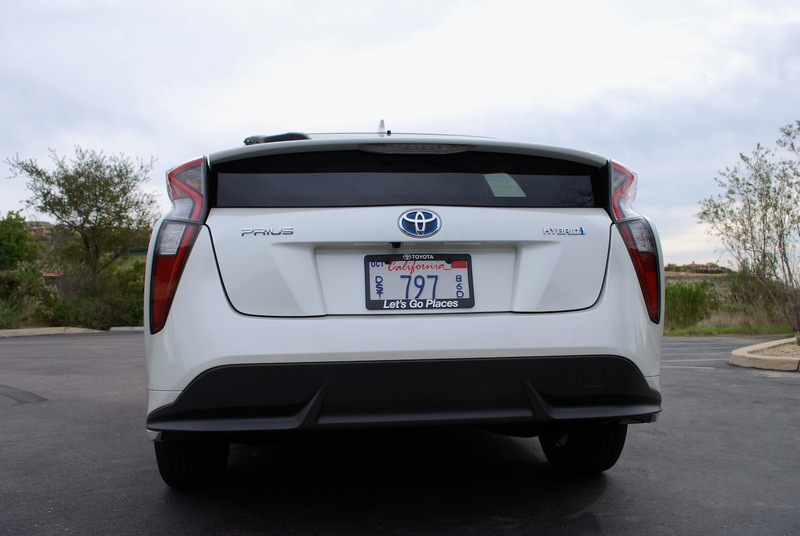 Rear comfort isn’t quite on par with the best midsize sedans, but it’s an upgrade over compact cars. 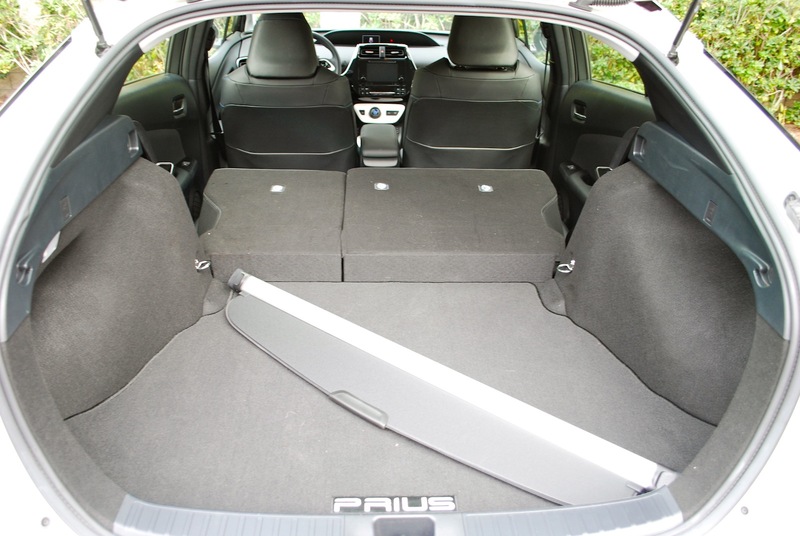 In fact, the Prius boasts impressive packaging considering it’s hiding heavy batteries. 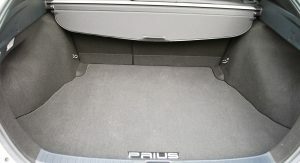 Changes to the cargo area seem to reveal a deeper and flatter floor than before, making it more usable than a sedan. 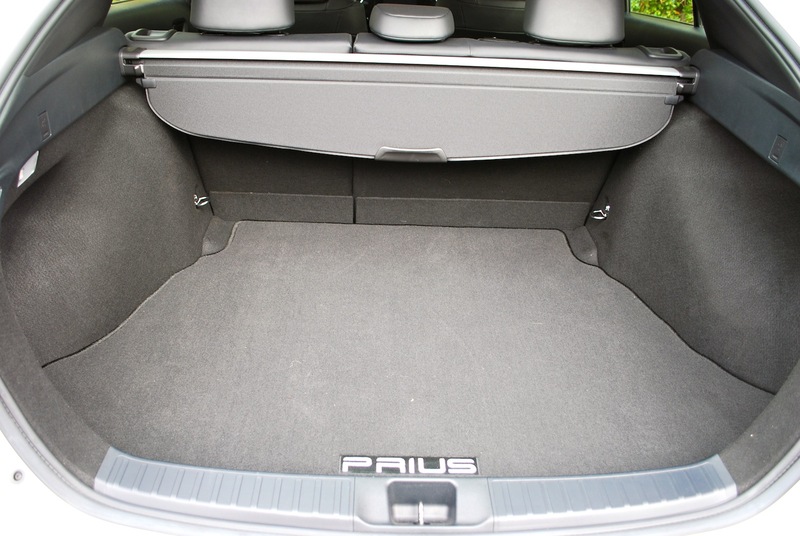 Sure, the space loses its flatness when the seats are folded, but you can fit a whole lot of stuff into this car. 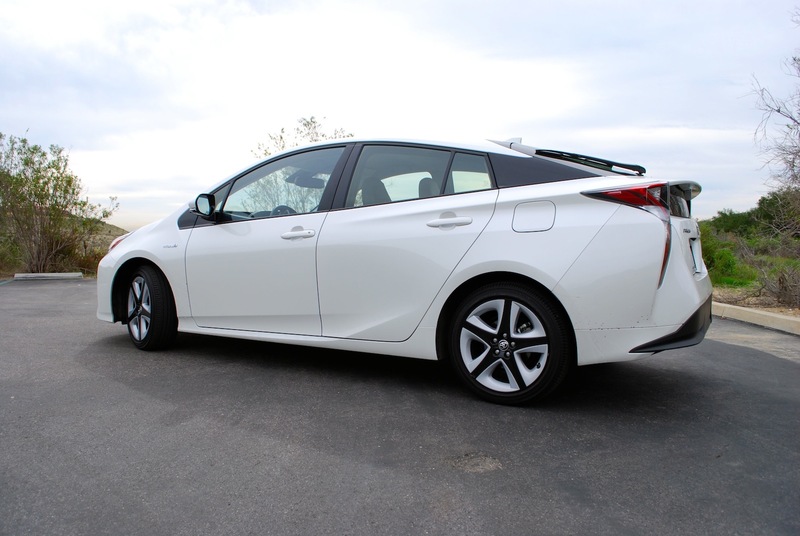 It’s like they knew the Prius would be hauling people to the airport or something. 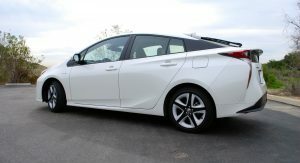 The way the Prius drives bodes well for a lot of future Toyotas, since the platform on this car is destined to underpin the company’s most popular models in the coming years. 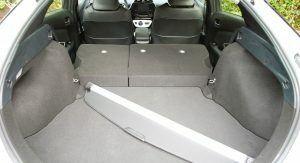 A lower center of gravity and boosted rigidity are supposed to be the main benefits of their new modular platform. 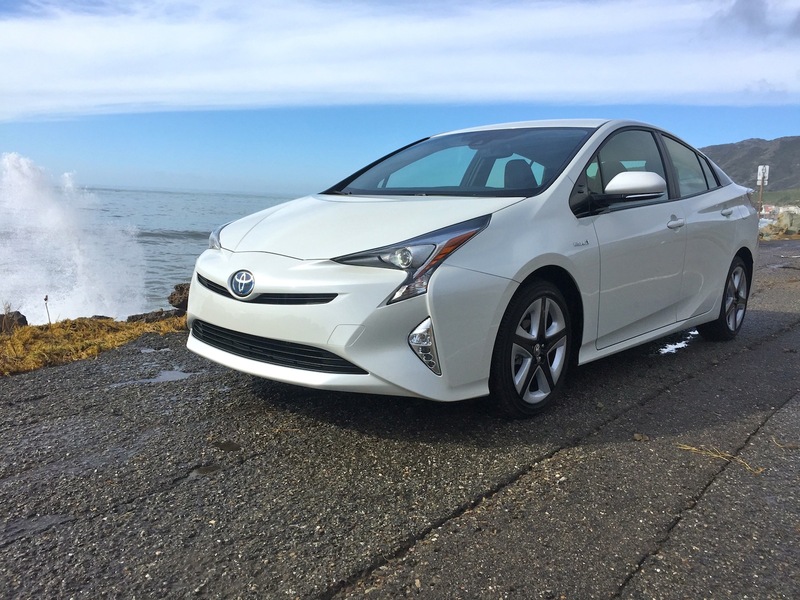 The Prius drives better, but it still feels (and sounds) like a Prius. 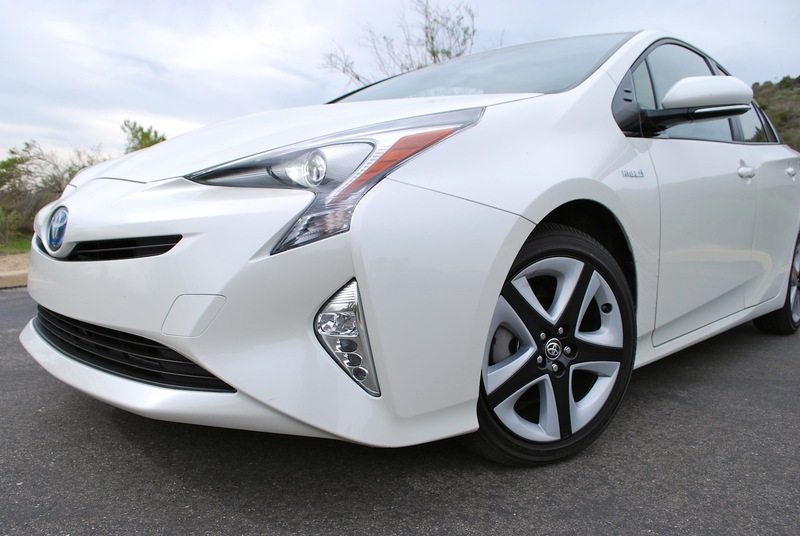 Toyota seems to have gotten the handling memo. 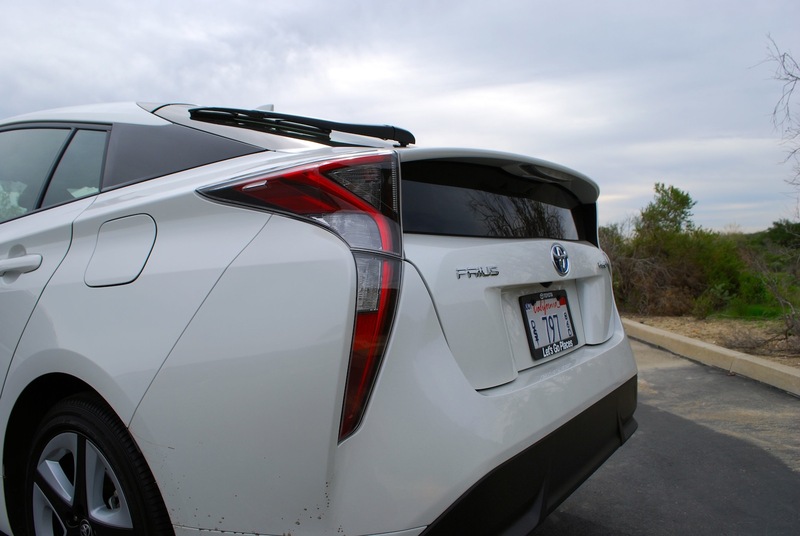 As in the Scion iM, a double wishbone rear suspension does wonders for the new Prius, as it’s far more confidence-inspiring in corners and on sharp turns. 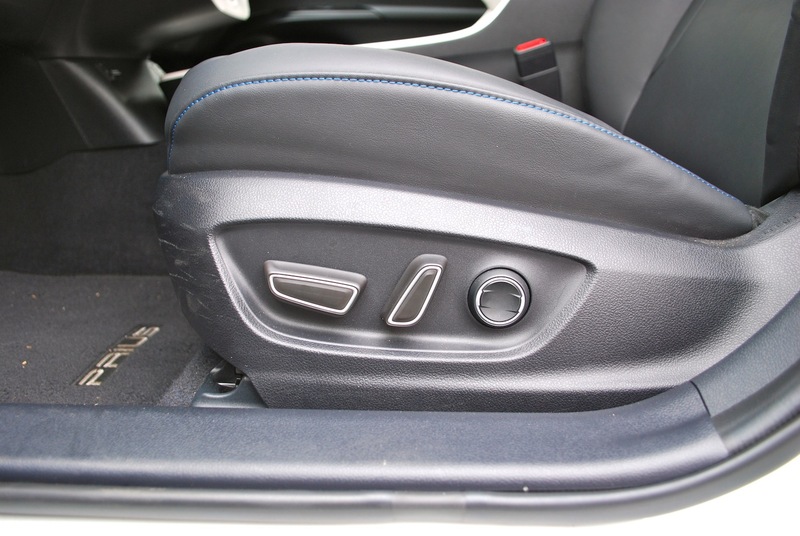 You also sit lower in the car, which makes you feel like you have more control than you probably do. Too bad the steering is still a let down, feeling more like a simulation of steering a car than anything else. It’s too light at highway speeds. 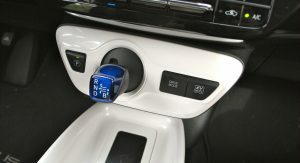 As before, a 1.8-liter four-cylinder is mated to an electric motor. 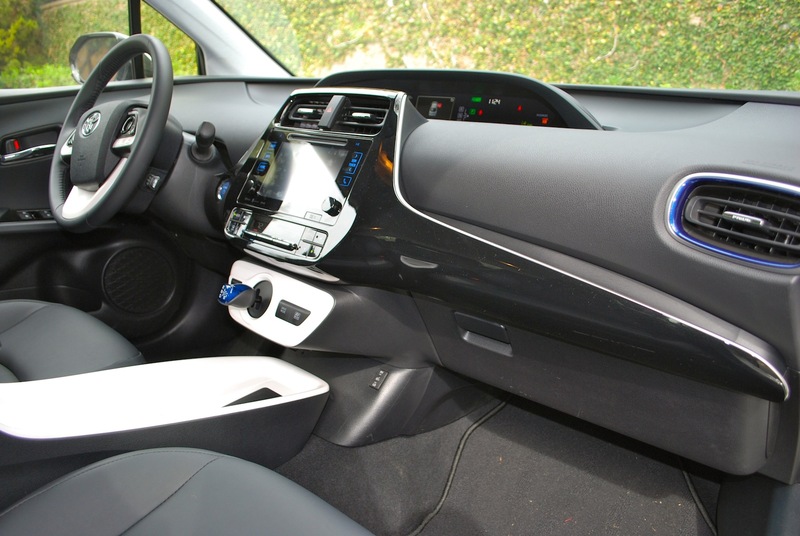 There’s 121 horsepower from the hybrid system, with a lithium-ion battery in the most efficient Eco model. It’s adequate power, but nothing more. 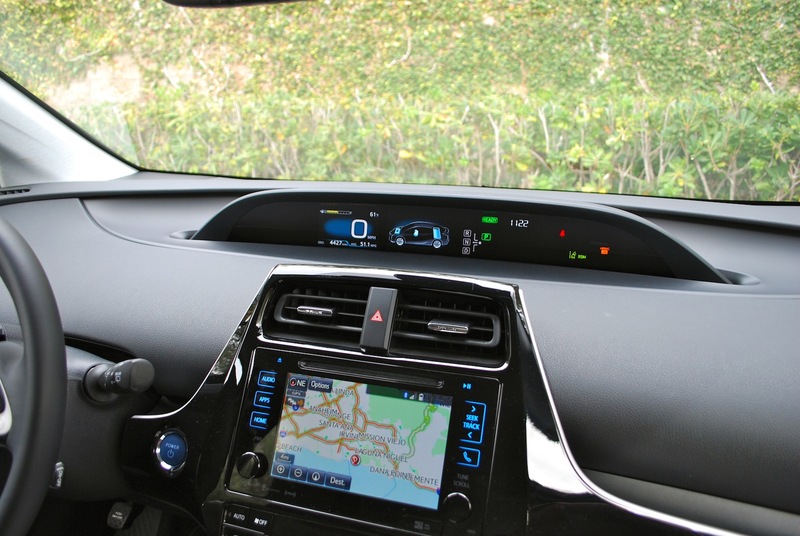 Cycling through the driving modes helps, though, as Power mode gets the electric motor to put in more effort and it’s noticeable at highway speeds. 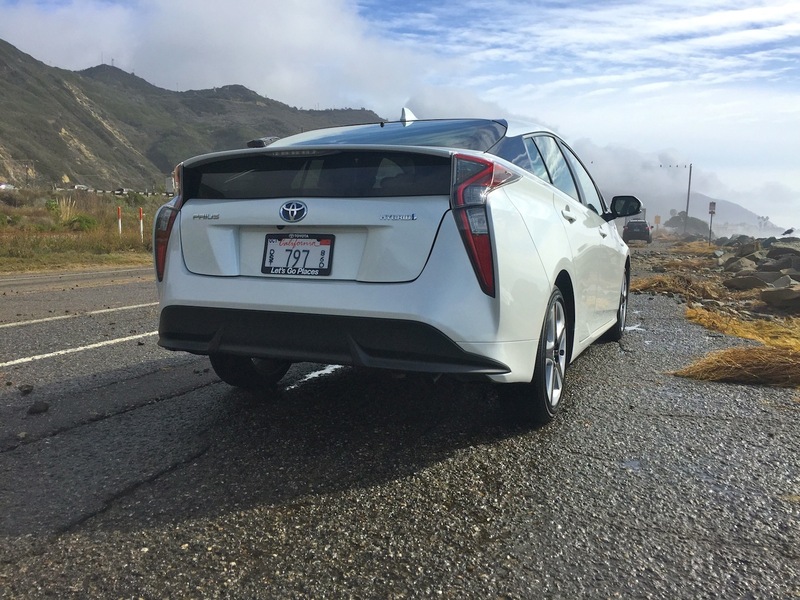 But hard acceleration still causes the transmission to drone and while the interior is quieter, you can still tell the Prius needs to work harder than most compacts these days. Fuel economy, however, is always the big story with the Prius. 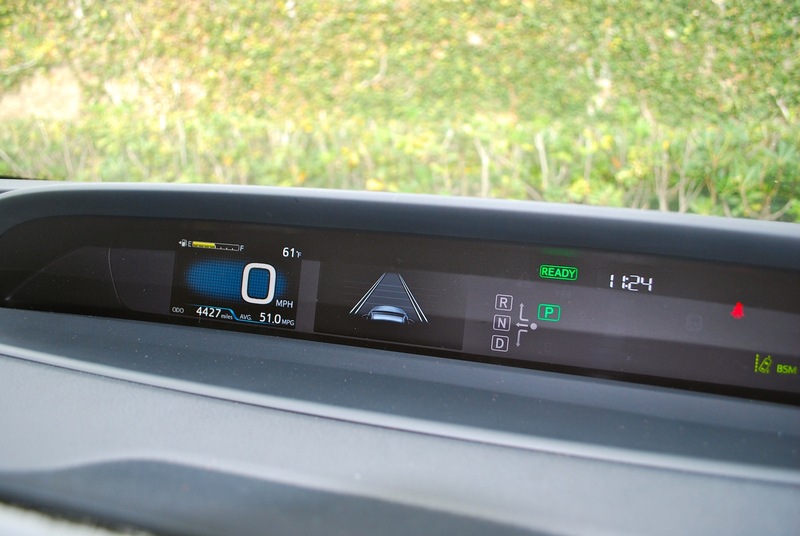 I averaged 49 mpg over five days, and that was mostly highway driving with the adaptive cruise control activated a lot and where I sometimes had fun with the Power mode. More judicious driving would’ve yielded 50-plus easily. I have little doubt over the 54/50 EPA estimate. 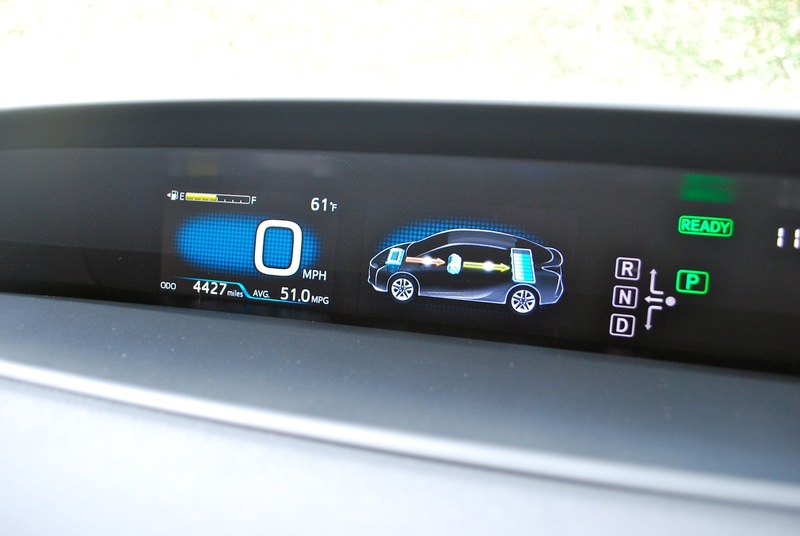 If you’d like to be smug about $25 fill-ups every 450 miles or so, the Prius is still your best bet. 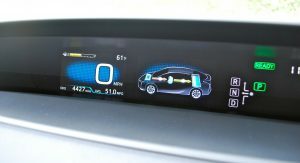 Fuel efficiency also helps the Prius pencil out financially. 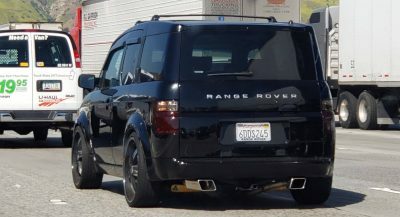 It kicks off at right around $25,000, although that’s for a fairly basic model that looks more like a parking enforcement officer’s dream than anything else. 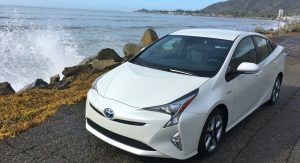 For an extra $500, the Prius Two Eco ekes out four more mpg city, three highway for an estimated 58/53 rating from the EPA, but it doesn’t seem worth it. 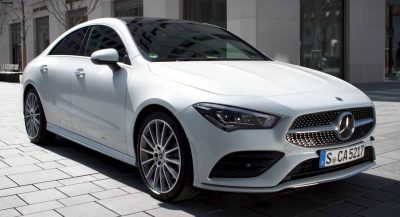 Touring models, such as the one I had, get the 17-inch wheels, a supposedly more aggressive bumper cover that may help with the front fascia and leatherette seats that definitely class up the interior. 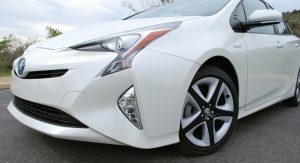 A Prius Four Touring, with $395 Blizzard Pearl paint and a $1,705 Premium Convenience Package (navigation, satellite radio, JBL speakers and Toyota’s Safety Connect telematics) goes for $32,935. 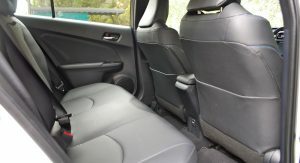 Aside from a Chevy Volt that’s still a little more expensive when similarly equipped (although it offers superior safety tech), what else gets you this many miles per gallon in a space for five people and a healthy dose of luggage? Sure, fuel is hideously cheap these days. 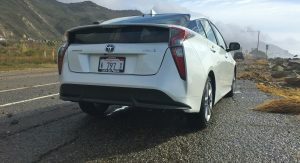 That was the case shortly after the first Prius landed here, yet people bought it because it was progressive and you could feel smug in traffic. That’s not enough anymore, even in California. 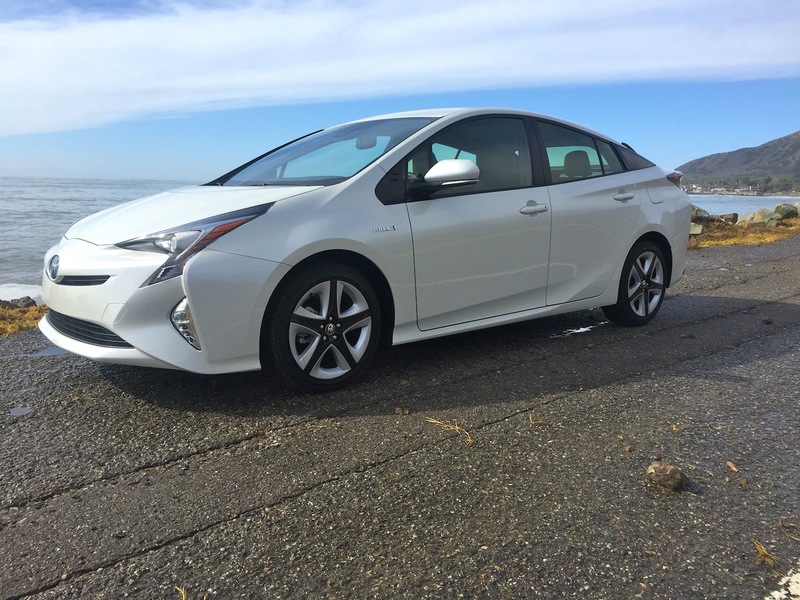 Fortunately the Prius is the best car it’s ever been. I can say that with confidence at this year’s Christmas dinner.